This all aluminum Stor-King Storage Cabinet keeps all your costly power tools, parts, electrical testing equipment etc. secure and easy to access. 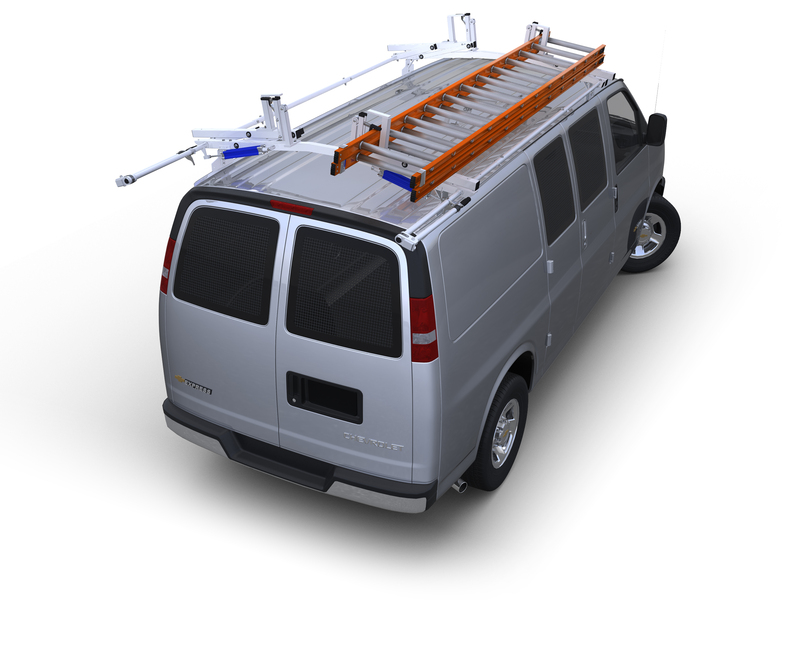 Stop reaching for heavy tools in your van. Install this small footprint space saving cabinet up against the partition or inside the rear doors of your van where you can easily slide the drawer open to access your tools and parts without having to step up into your van. 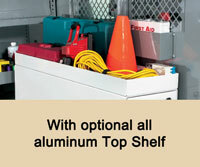 This all aluminum Stor-King storage unit keeps all your costly power tools, parts, electrical testing equipment etc. secure and easy to access. Stop reaching for heavy tools in your van. Install this small footprint space saving cabinet up against the partition or inside the rear doors of your van where you can easily slide the drawer open to access your tools and parts without having to step up into your van. 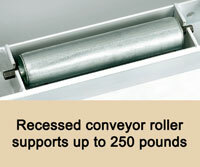 These 131∕2" clear deep drawers with easy grip pull handles easily glide in or out on a conveyor type roller at the front and a bearing assisted drawer movement at the rear of the drawer. Stainless Steel locking paddle handles make closing, latching and locking a snap. Self-adhesive 4" wide anti-skid strips are supplied to prevent load movement or if you prefer a full top shelf with a 3" high lip is available. Bottom Skids run the full width of the unit for secondary re-inforcement. Overall unit measures 121∕4"W x 42"D x 18"H while actual drawer dimensions are 115∕8"W x 391∕4"D x 141∕2"H with 8"H side walls.